For a mere $25, you too could have your very own magical easel! That's right. A few days ago on Wilmington's section of Craigslist, a "Magical Easel" was posted as being for sale. Fascinating. 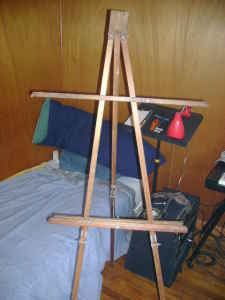 I would be curious to know just how this person realized that the easel has magical properties. Though it does seem odd that, while he was able to intuit the presence of magic, the specifics of its properties eluded him.